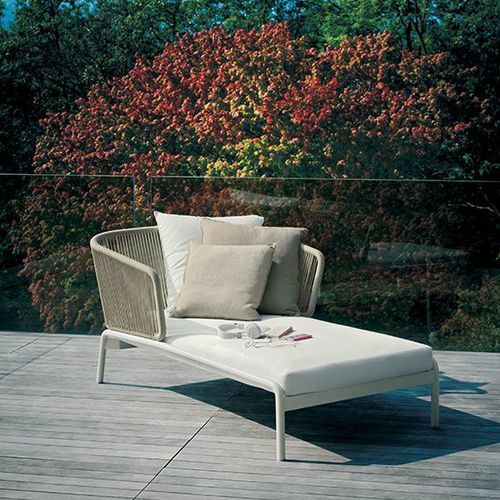 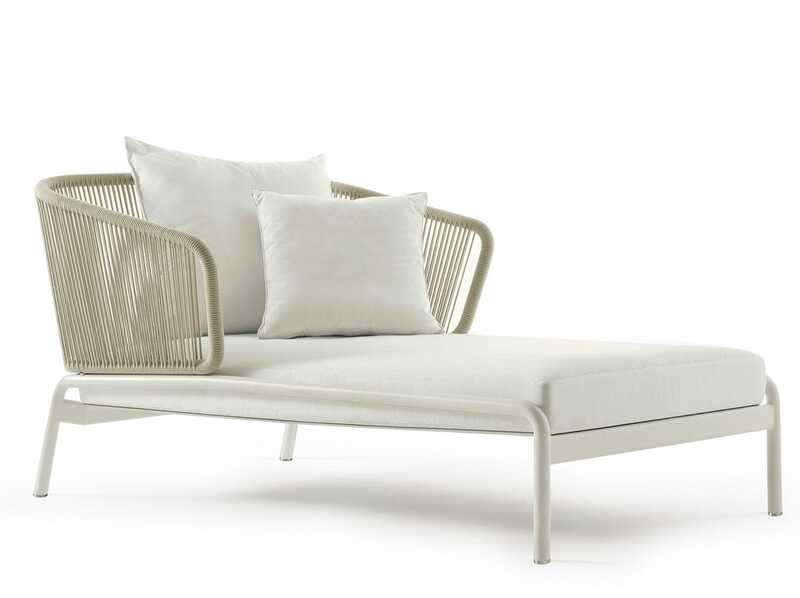 SPOOL outdoor sofa collection tells a new, vibrant story made of weaves and attractive shadow effects created by light filtering from the sections of the backrest. 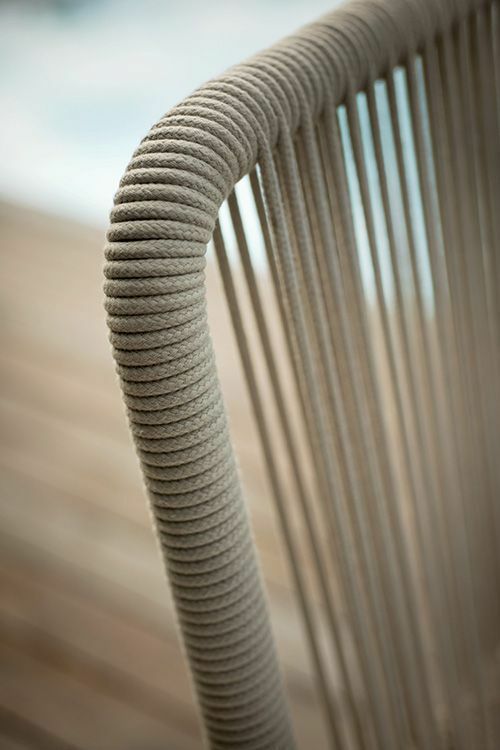 A close succession of cords embraced to a metallic tubular frame with simple, sinuous lines that remind of weaving spools .The result is an outdoor design furniture collection with a perfect balance between strength and lightness, that doesn’t neglect the comfort of the seats, accommodating an abundance of soft cushions. 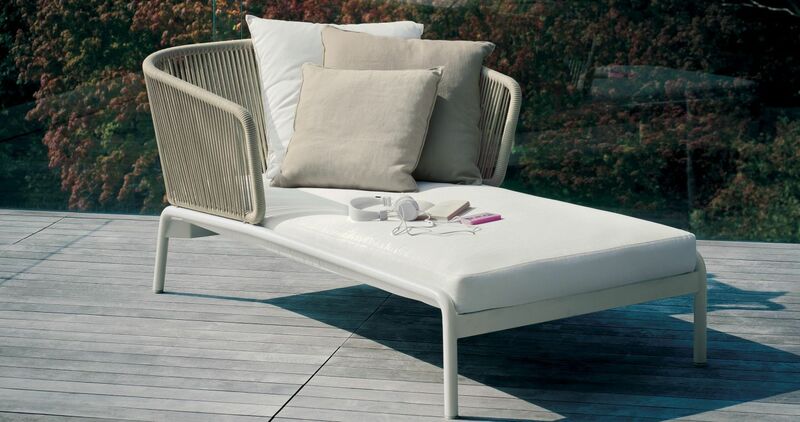 The outdoor varnished stainless structures are now available in a variety of colour combinations of structure and cords.